What an exciting day in Paris! We took the bus from Blérancourt to Paris. Our first activity was the Bateau Parisien. It was a wonderful way to orient ourselves in the city and see all of the major monuments along the Seine. 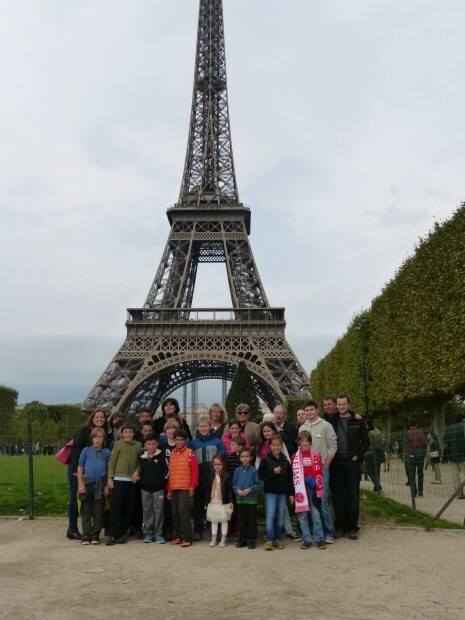 After our boat ride, we took the bus just a few blocks away to meet our family and friends that live in France for our picture on the Champ de Mars. We had reserved a crêperie for lunch. We strolled there and spent a long time eating lunch and chatting with family and friends. We then took the bus to go to Chantelivre, a bookstore for children. We finished our day touring the Paris monuments with our guide Agnes. After a long and interesting day, the students were happy to get back on the bus to head home to their host families. After a fun Sunday spent with our host families, on Monday we spent the day in Compiègne. We started off the day at the Wagon de l’Armistice in the Fôret de Compiègne. This clearing is famous for being the site where two important Armistices were signed. The first one was signed on November 11, 1918. It stopped the war between the Allied Powers (Entente) and the Central Powers (Germans) in World War I. We saw the statue of Marechal Foch, who was the chief of the Allied Powers (Entente), and who signed the Armistice. The second Armistice was signed on June 22, 1940 between the French Third Republic and Nazi Germany, in the same wagon in the same spot in the Fôret de Compiègne. This Armistice established the occupation of the North of France. In the museum we saw a train car, documents and artifacts of the two wars. Unfortunately, the original train car was destroyed, and the one we saw today was a replica of the original one. 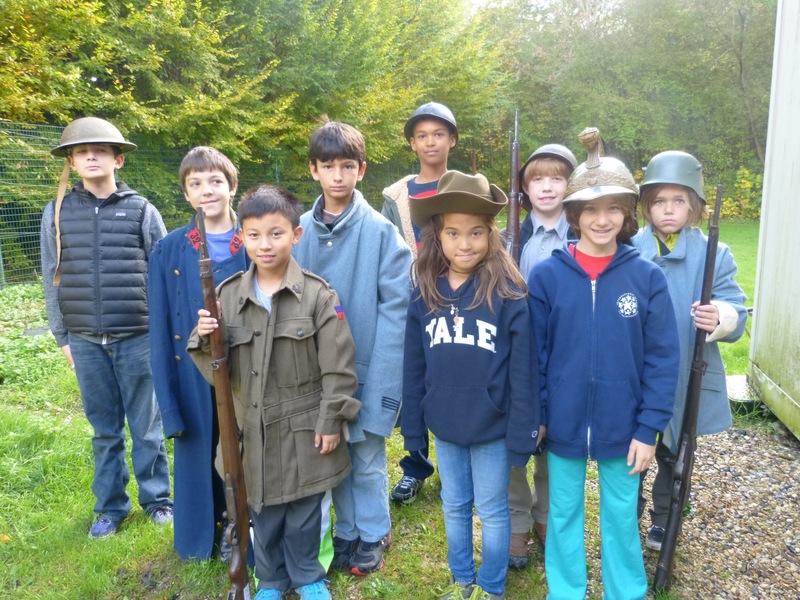 After our visit of the museum, we went to the workshop next door, where our guide showed us weapons, helmets, and uniforms from the World Wars. The children were delighted because they actually got to try on the helmets and uniforms and hold the weapons. It was shocking how heavy the guns were. For lunch, we went to a pond in the Fôret de Compiègne and had a picnic. 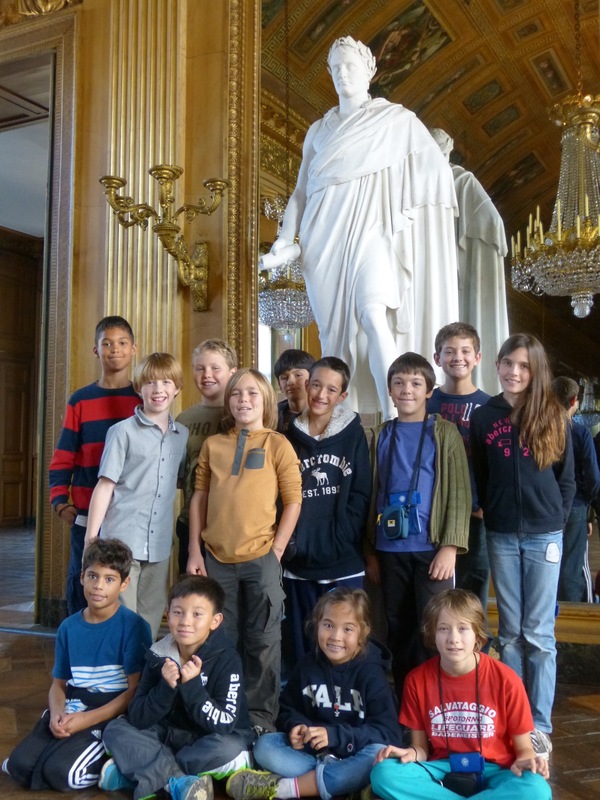 We then went to the Château de Compiègne for a guided tour. The château was built by Louis XV and used by the emperors Napoléon I and Napoléon III. We saw the beautiful decoration in the château, and we were all impressed by the trompe l’oeil paintings on the walls that looked like sculptures. The children took many photos (authorized without flash) throughout the visit. Finally, we had a chance to buy some souvenirs in the château’s gift shop.